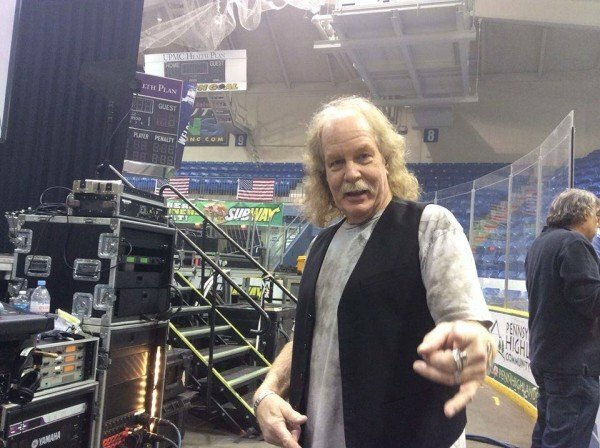 Three Dog Night keyboardist and vocalist Jimmy Greenspoon died from metastatic melanoma on March 11 at the age of 67. Jimmy Greenspoon formed the band in 1968 with Danny Hutton, Cory Wells, Chuck Negron, Joe Schermie, Mike Allsup and Floyd Sneed. He was first diagnosed with the disease on October, 2014 after a tumor was removed from his brain, spots were also found on his right lung and on his liver. Soon after his sad diagnosis Jimmy Greenspoon set up a GoFundMe page in hopes of donations to help with the high costs of his medical treatments and care revealing that he would be a cancer patient for the rest of his day and the costs would be very high. On March 10, Jimmy Greenspoon’s wife Susie posted to the band’s Facebook page that Jimmy was nearing the end of his battle with cancer revealing that the past few days have been very difficult for Jimmy and the family revealing that they were keeping Jimmy as comfortable as possible. Three Dog Night made the announcement of his death on Facebook. “We are very saddened at the passing of our dear friend and longtime band mate, Jimmy Greenspoon. Jimmy died peacefully at home today surrounded by his family. Please keep him and his loved ones in your prayers and your hearts,” the statement read. Jimmy Greenspoon’s vocals can be heard on Three Dog Night’s biggest hits including Joy to the World, Black and White, Never Been to Spain and Your Song. He continued to tour with his band until he came down with his illness. Jimmy Greenspoon also performed alongside legends including Eric Clapton, Jimi Hendrix and the Beach Boys.